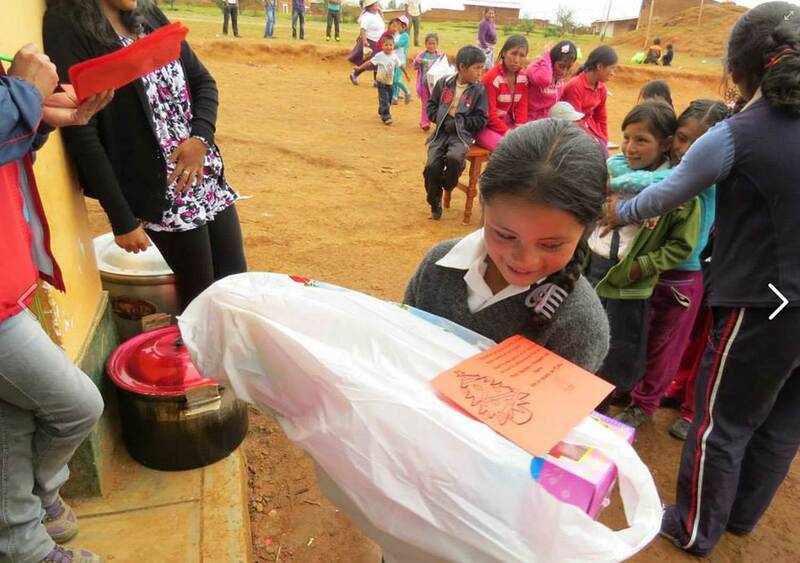 A first ever Christmas gift for a Hualcayán child. The post below is written by my colleague Elizabeth Cruzado Carranza the Co-Director along with Rebecca Bria of Proyecto de Investigación Arqueológico Regional Ancash (PIARA). I have posted before about the fantastic community outreach and cultural heritage work of PIARA. 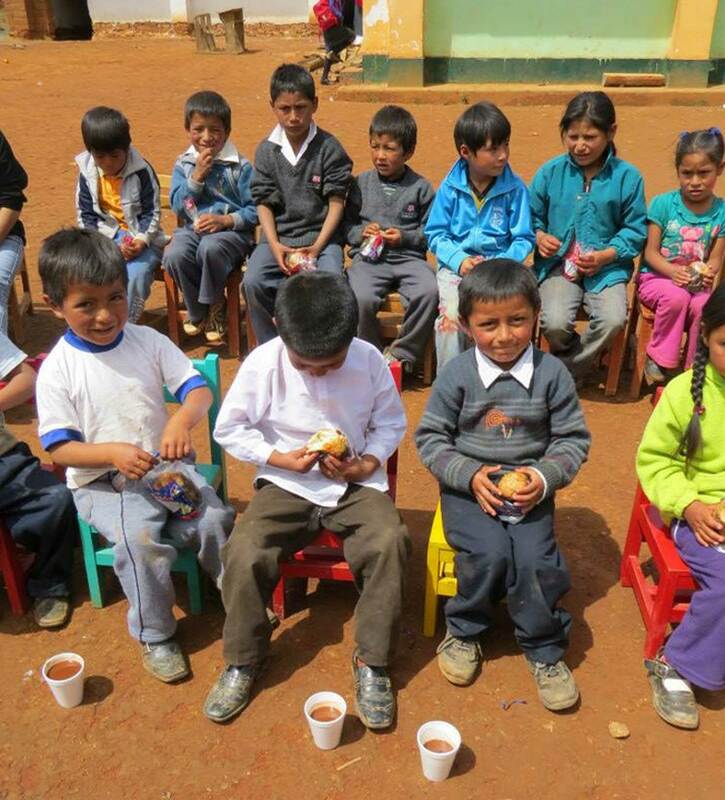 On December 6th of this year, PIARA sponsored a Christmas party for the 140 children of the Hualcayán community in the Andes mountains of Peru. PIARA views theses events as an integral part of their applied archaeology program not just for the community but with the community. In addition to archaeological research, in the coming year, PIARA will continue to focus on community wellness, cultural heritage and economic development, and projects such as medical care and electricity restoration in the Hualcayán community. I will especially appreciate your considering making a financial contribution or other support for PIARA during this holiday season and beyond. There are many people who worry about giving the perfect gift to their relative. But what happens for those people who do not have enough resources to buy the Christmas tree, festive dinner, or the gifts? 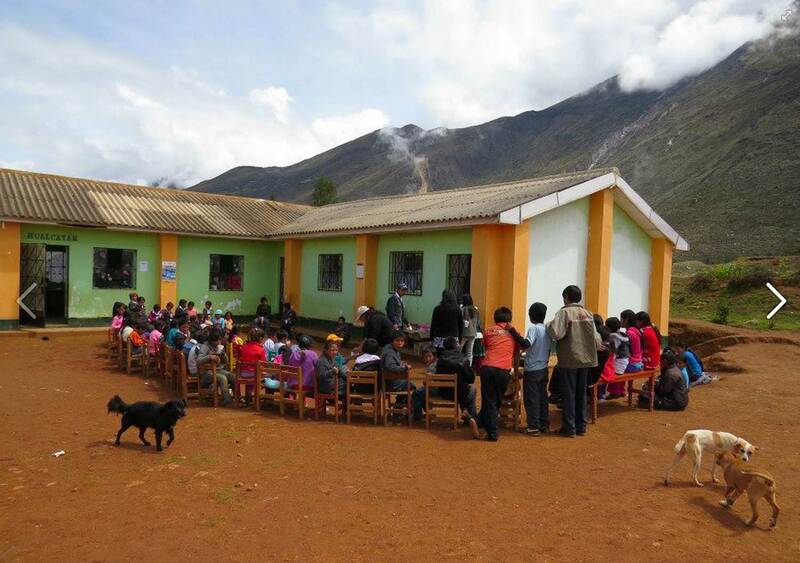 This is the situation in the community of Hualcayán in highland Ancash, Peru. There is no money to buy presents. People there can only prepare a dinner and share it with their family members. 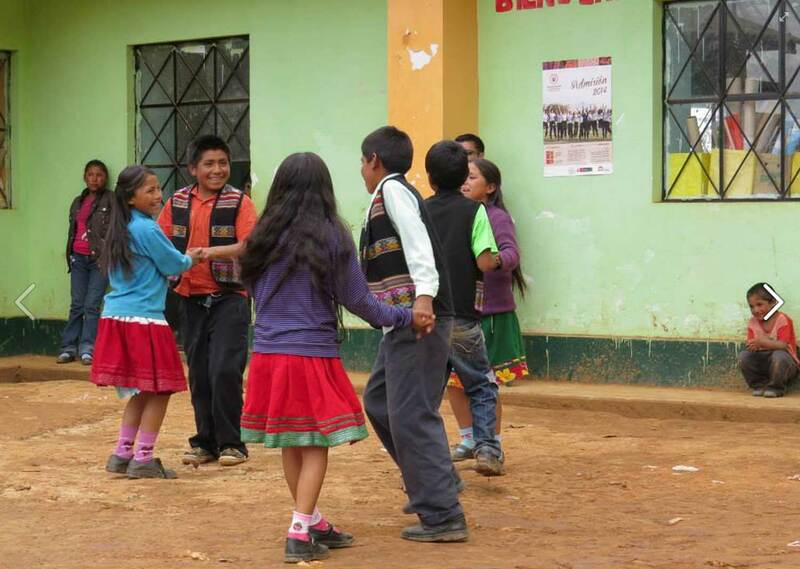 This year Proyecto de Investigación Arqueológico Regional Ancash (PIARA) had the idea to prepare a party for all the children in Hualcayán. First, we collected a list of names of all the children from the community. The nurse of the community, Ofelia, and the principal of the school, Magali, helped me to collect the names for the list. We were surprised because the list contained the names of more than 140 boys and girls who live in Hualcayán; in other words, almost half of the population living in the community are children! We decided to prepare a Christmas party at the school in Hualcayán on December 6th, so the children could celebrate and have fun. But the big surprise was seeing several parents from the community also sharing the hot chocolate and panettone, which warmed us on that cold day. Despite the cold, the excitement of the children knowing that they would receive a gift, made ​​the day feel warm as the sunshine broke through the clouds. Parents from the community also supported this event and prepared two big pots of hot chocolate. We also had sweet panettóne from Lima thanks to Meruquita´s Bakery. Children from Hualcayán do not usually drink milk every day. Fortunately there was even enough hot chocolate to share with the parents who accompanied us on this very happy day. After everyone had a full stomach, it was time for the children to show their artistic talent, as a form of thanks for the celebration. Without exception all students participated in the artistic event, from the tiniest preschooler to the oldest secondary school student. The children prepared songs dances and traditional scenes with themes related to Christmas. The singing was particularly welcome as there is currently no music from radios because Hualcayán has been without electricity for the past several months. All of the children sang loudly and were proud of their participation. Then came the most awaited part, the distribution of gifts! 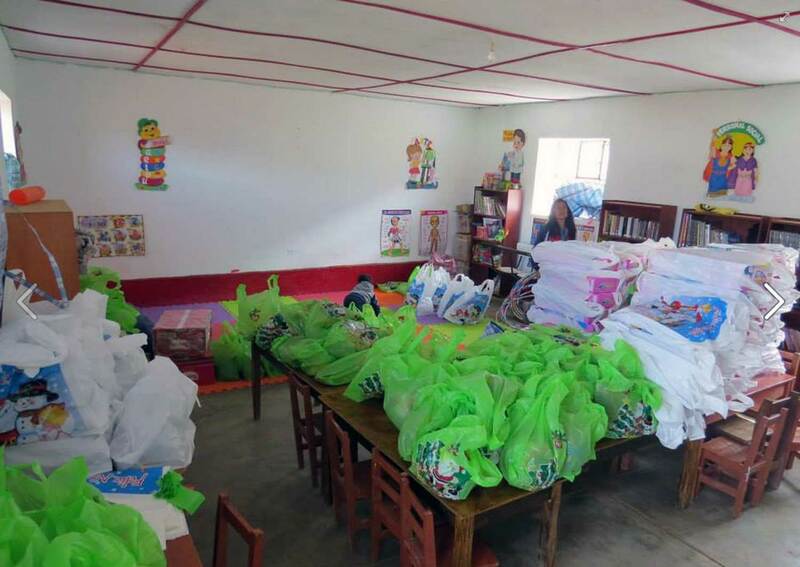 With the list of names of all children living in Hualcayán, we had organized all of the presents in the school library the day before. We started with the little children, but all the boys and girls were so excited that even though it started to rain, they stayed in line to receive their gifts – waiting for their doll, car, train, soccer ball or volley ball. The faces of joy and surprise at the time of receiving the gifts was the best gift I could receive. All of the children thanked us many times and even their fathers and mothers came from the farms or houses to show their appreciation. To bring a little joy to these children during the holidays is difficult to put into words. The satisfaction of sharing with the community is the best reward – an act of love – a different way to share with one person or many on this special date. Although PIARA performs archaeological research in Hualcayán, the communication and closeness we have with people has enabled us to participate in various community activities, such as a simple holiday celebration. With great joy PIARA is able to be a part of this community that received us a few years ago, and it allows us to work on their behalf. Watch this brief video with highlights from the Christmas Party! In addition to the Christmas gifts shown here, PIARA purchased all of the books and materials in this newly remodeled school library. Children gather outside the school for the Christmas Celebration. Hot chocolate and panettone were enjoyed by all. The celebration also had lots of dancing, singing, and traditional storytelling.